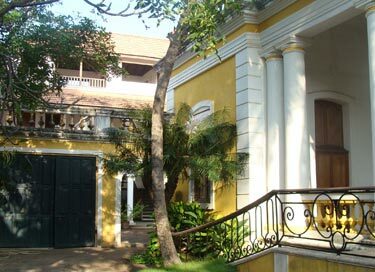 In 1955 Jean Filliozat, the eminent Indianist who would later serve as the Director of the EFEO for twenty years, with the encouragement of the Prime Minister of India Jawaharlal Nehru, set up the French Institute in Pondicherry. The IFP is dedicated to the broad study of the Indian world. For a long time EFEO members directed the Indology program of IFP, (philology, history of art and architecture, etc.). This partnership has continued since the EFEO established its Centre in a separate building in 1964. In this new setting the EFEO has housed its own collections and has provided facilities for Indian scholars. Today the Centre provides a setting for the Library of Indology (about 11 000 titles), and houses a collection of maps and drawings, as well as manuscript texts on palm leaves in Sanskrit, Tamil, and Manipravalam. In 2005, "The Shivaite Manuscripts of Pondicherry"(EFEO-IFP) were entered in the UNESCO "World Memory" register at the joint request of EFEO, IFP and the National Mission for Manuscripts of the Indian Government. The EFEO's permanent team comprises European and Indian scholars and technicians. Their work is regularly enhanced by contributions from visiting specialists and doctoral students. Research results of the EFEO Centre are published in form of monographs and include critical editions of texts in Sanskrit and Tamil, as well as translations of essential texts. Publications also include in-depth studies in literature, archaeology, epigraphy and history -- classic and contemporary, in addition to anthropology. 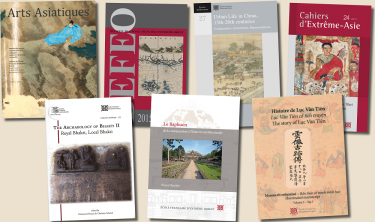 Many of these works are published in the prestigious Collection Indologie jointly edited by EFEO and IFP. Today this represents a collection of more than 100 titles. The works of the EFEO researchers are also published in international and Indian journals.